Last Game: Sunday at home against Hershey, the Pens lost 5-3. Will O’Neill assisted on all three goals. 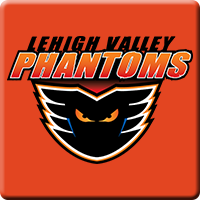 For Lehigh Valley, the Phantoms were in Bridgeport Sunday and won 4-1. Taylor Leier had a goal and an assist and Anthony Stelar stopped 27 of 28 shots. Last Meeting: April 8 in Wilkes-Barre, the Pens lost 4-0. They put 40 shots on goaltender Martin Ouellette but were unable to buy a goal. Why you should care: The Penguins have clinched a playoff spot, but the question remains as to where the Penguins will start their fourteenth consecutive trip to the Calder Cup Playoffs. On the home or on the road? A win puts the Pens even with idle and second place Providence while a loss would completely extinguish any hopes of a division championship and digs the hole deeper as a two seed which guarantees home ice in the first round. A big contest against an already out of it Phantoms team awaits. Other Game to Watch: Hershey is in Binghamton for the final time this season.